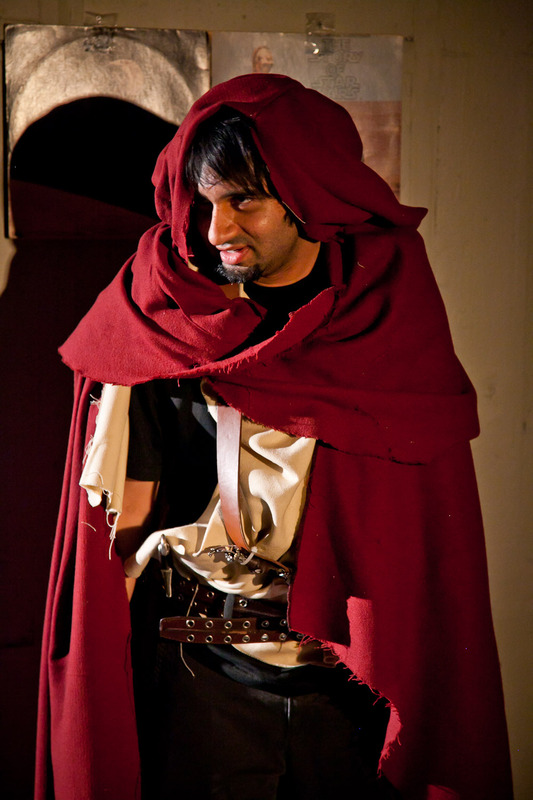 Jai Sahai as Spango Garnetkiller in Impact Theatre’s production of Of Dice and Men, by Cameron McNary. Photo by Cheshire Isaacs. I wrote an article linked above for Theatre Bay Area Magazine’s Jan/Feb issue, and now that it’s no longer available online, I’ll post it in its entirety here. I’ve really come to dislike the term “color-blind” casting, because it implies that the highest good is to be “blind” to race and ethnicity, and I just reject that out of hand. The highest good, in my opinion, is to both SEE difference and CELEBRATE it. Not “accept” or “tolerate”– those weak words can take a seat. While the point of this article is race and ethnicity, I think we also need to start thinking of diversity in terms of body size, age, disability, and gender– and not just gender as in “male/female,” but recognizing the true range of gender, gender expression, and the 1000 ways in which cisgender people enjoy privileges that trans* people do not. As a cisgender woman, this was invisible to me until fairly recently. Over the past ten years (after the death of Gwen Araujo, practically in my childhood backyard), I’ve paid a lot of attention to how trans* people are treated in our culture, and while the cisgender can never truly understand, it’s crucial for us to try. My own company is in no way perfect. Far from it. We have a long way to go with all of these issues. But it’s something I think about literally every day of my life. UPDATE 5/20/13: Please read this account of a Filipino American actor who auditioned for a character of color, made it to the second callback, and then discovered the “Big New York Theatre” (his generous psuedonym) cast a white actor instead. It’s a great read for a ton of reasons. As someone who‘s been producing and casting for nearly two decades, I’ve been following the recent casting controversies with keen interest. The latest occurred at La Jolla Playhouse this past July. Duncan Sheik and Steven Sater’s The Nightingale, an adaptation of the Hans Christian Andersen tale, directed by Moisés Kaufman, was set in China but cast with mostly non-Asian actors, including white actor Bobby Steggert in the lead role of the Emperor of China. The cast of twelve included but two Asian actors in supporting roles. The backlash, led by Asian American theatre artists, was immediate and intense. La Jolla Playhouse’s Artistic Director, Christopher Ashley, eventually apologized, but initially defended the casting as “color blind.” Kaufman defended the “color blind” casting by asserting that the play was never meant to depict a “literal” China, but a “mythological” one. When we cast, we consider many things: type, skill set, approach to the role, chemistry with other actors. Are we not also considering race? Are we ever truly “blind” to race? Would we even want to be? Two of the main ideas behind non-traditional casting are to provide actors of color with opportunities they have traditionally been denied, and to start to approach representing them on our stages in numbers equal to their numbers in the community. There’s a third important idea as well: Casting in a way that’s conscious of color and sensitive to it is a way to frame possibilities for inclusion in the real world. So many of our steps forward as a culture in the areas of race, gender, and sexuality have been led by the arts. An emotionally profound narrative event like a play or a film can have more cultural impact than a protest, article, or lecture. “There’s a television show called ‘Once Upon a Time,’” says Quismorio, “that cast an African American actor in the part of Lancelot. When we think of Lancelot, we imagine a ‘white knight.’ Not only are we challenging what’s happening in the real world but also what’s happening in our imaginations. Ten, fifteen, twenty years from now the kids who are growing up today will know of a Black Lancelot. There are other ways of perceiving a character.” Imagining fictional characters in new ways and creating artistic space for the full range of human characteristics people of color possess, not just the stereotypical characteristics we too often see in roles written for people of color, are healthy for us both as artists and as people living in a diverse community. What about the “artistic freedom” argument? What is the difference between casting an Asian American as Hedda Gabler and a European American as the Emperor of China? Why is “color blind casting” such a problem and “non-traditional casting” lauded? The reason is because race has meaning. It has an undeniable cultural context that must be considered when we cast. We must consider creating productions that reflect the diversity of our audiences if we want to stay culturally relevant, creating opportunity for underrepresented actors if we want a thriving theatre community, and the effect our casting choices will have on the narrative of the piece if we want to have an understanding of how our work fits into the cultural context and how it will likely be received by audiences. When I was casting Romeo & Juliet at Impact two seasons ago, our newest resident actor, Reggie White, who is African American, wanted to do the show. I had two open roles at the time: Paris and Tybalt. Reggie is an actor with an abundance of “nice guy” energy, who exudes likeability from every pore, and captures audience sympathy the minute he steps on stage. I didn’t want an unsympathetic Paris—I believe he’s a nice guy caught in a bad situation. Reggie would have been a perfect choice for that role. Hotheaded Tybalt, on the other hand, is a stretch for an actor whose home base is “the sweetheart.” But given that both my Romeo and Juliet were white (Michael Garrett McDonald and Luisa Frasconi, respectively), how could I cast an African American as Paris? How could I stage a play where the female lead is desperate not to be married off to the Black guy? Reggie’s race would change the Paris narrative to something unpalatable. I cast him as Tybalt, and, of course, he was more than up for the stretch and his talent and versatility made his performance a huge success with both critics and audiences. In making that choice, I also considered that the party scene, wherein Lord Capulet, played by a white actor in our production (Jon Nagel), calls Tybalt “boy” several times, would take on a new, more hard-hitting meaning, and would show even more explicitly why Tybalt’s anger carries over the next day into his challenge of Romeo. In a play with so much violence from so many characters, I didn’t feel that an African American Tybalt would make a racist statement about Black male violence, but that possibility had to be considered before I could move forward with the choice. Race is always part of the narrative, and it’s our job to be cognizant of that, to consider the cultural context of our choices, and weigh, to the best of our ability, how audiences will read those choices. Using a white actor as Othello, or as the emperor of China, on the other hand, has a very different impact on the narrative than casting a person of color in a traditionally white role. It erases the physical presence of the person of color, and intertextualizes cultural narratives of imperialism, appropriation, and invisibility. The West has a long history of casting white actors in racist portrayals of people of color, of appropriating the narratives of people of color and reshaping them through a white lens, and of shutting artists of color out of positions of importance. An American audience viewing a white person portraying a person of color will be reminded of all of these, and of blackface, of yellowface, of the history of racism with which we still struggle. These are all present in any production wherein a white actor is cast as a person of color because they are so palpably present within our culture. Again, race is always part of the narrative. With all this complexity, how do we approach race and ethnicity in casting in the 21st century? I think the answer is that there is no one-size-fits-all solution. Yes, we should be increasing access for actors of color to roles in which they have not been traditionally cast. African American Hamlets and Rosalinds, Asian American Noras and Heddas, Latino Bricks and Estragons: we should continue to encourage these. And, at the same time, we need to actively work to develop voices from across the entire cultural spectrum and ensure that these voices get the kind of attention they deserve. All too often playwrights of color are developed to death: awarded reading after reading, but few mainstage productions at major houses. We need to continue to work towards inclusion of women and people of color in decision-making positions at larger nonprofits and in the commercial theatre. Impact’s Macbeth. 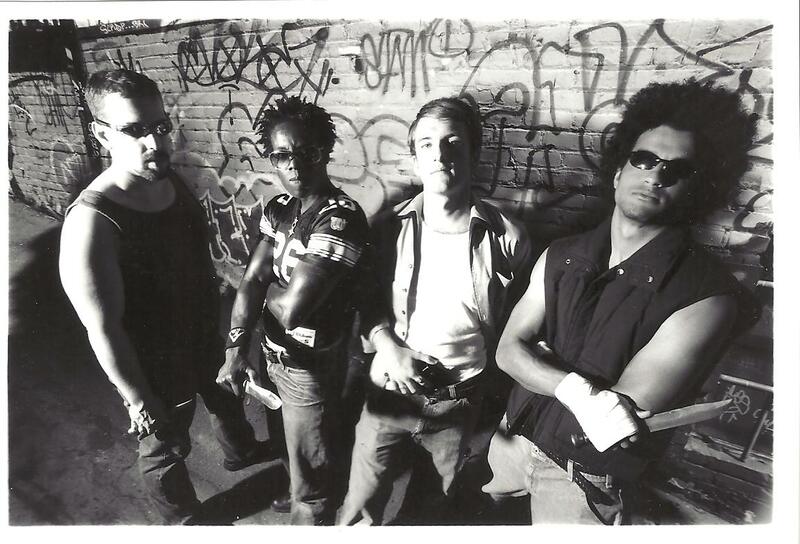 Pictured: Andy Pelosi, Skyler Cooper, Pete Caslavka, and Casey Jackson. Photo by Kevin Berne. I’m sharing this with my writer’s group. Thanks so much – what a thoughtful and provocative article. As a writer, as a female, white writer, I’ve shied away from portraying other ethnicities. I shall be brave and stick my neck out. Is there anywhere else that one can read the above article? I can’t get to it on TBA’s site. They either took it down, or maybe I just can’t access it because I’m not a member? I really want to pass it along to some colleagues. Looks like it was a casualty of the website update. I’ll have to find my original doc and update this post. Thanks for letting me know!